The AA is planning to cut 100 jobs and close its national training centre in Melton Mowbray, Leicestershire as part of a restructuring. 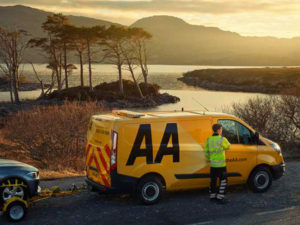 The move will see management and administration roles cut across a number of functions across the AA, with the exception of its frontline delivery teams in Roadside Operations and Contact Centres. The roadside recovery organisation said the proposals were aimed “reorganising and focusing accountability on our emerging strategic priorities, improving the speed of our decision making, reducing the number of layers of management, and reducing costs in order to help fund investment in front line customer service”. Commenting on the announcement, Pau Grafton, regional officer at GMB – the union for AA patrol staff – said: “The closure of national training centre will reduce structured training and in the end in our view impact on quality of service delivered by the patrol force. GMB believes that the reduction in the numbers of managers and administration staff will also impact on the quality of the service and leave problems that should be dealt with unresolved.